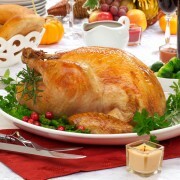 One of the best ways to ensure the meat of your turkey turns out moist and flavorful is to use a salt brine. 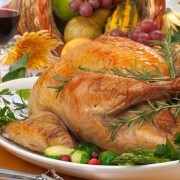 Rub coarse sea salt all over the body of the thawed turkey, including inside the skin. Enclose the turkey in a large plastic bag that you can seal. Keep it refrigerated for two days. The day before Thanksgiving, turn the turkey upside down to let the juices move around the turkey. 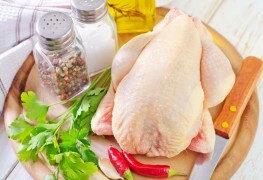 Keep the bird stored upside down until you're ready to cook it. Don't tie the legs of the turkey too tight or they will take much longer to roast and the breast meat will overcook while the legs are cooking. Before putting the bird in the pan, fold back the wings and use string to tie the legs loosely. When it comes to roasting turkey meat, maintaining a low, steady temperature of 325 ºF (163 ºC) from start to finish will yield the best results. Use a meat thermometer to tell when your turkey has finished cooking – the internal temperature should be about 165 ºF (74 ºC). It's best to stick the thermometer in the breast and also in the area between the breast and the leg to make sure it's ready. 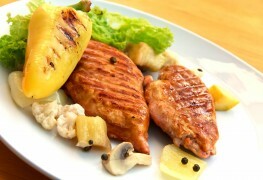 Sometimes cooking a turkey upside down helps to hold in its natural juices and make its flavor richer. Otherwise, the breasts tend to dry out a little. Roast it upside down for an hour and then flip the turkey right side up, taking care to protect your hands from the heat and raw meat. When you're ready to serve the turkey prepare a bed of greens with colourful vegetables, such as radishes and cherry tomatoes, around the perimeter. Place the full turkey on this bed and garnish it with parsley, rosemary or other herbs to make a mouthwatering presentation. Half of what makes a turkey meal so enjoyable at Thanksgiving is how it looks and smells, along with the delicious flavour. 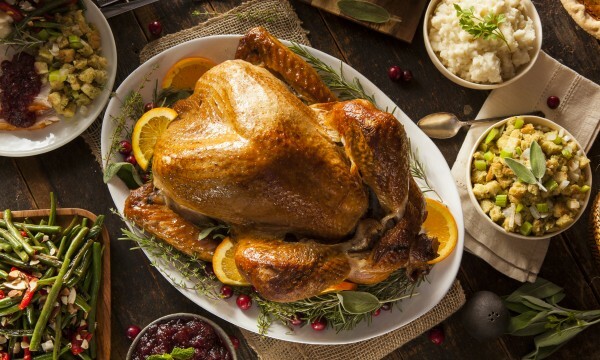 With these tips to help, your turkey will turn out to be the most memorably tasty one ever.